Hoboken Farms (www.hobokenfarms.net) has established itself as a local favorite in over 30 weekly farmers markets throughout New Jersey and New York. They sell locally baked artisan breads, fresh mozzarella cheese, pasta and organic, grass fed meats. Their biggest selling product has become their “Hoboken Farms Big Red Marinara Sauce” which has won numerous blind taste testing competitions including “Best Marinara Sauce in the Country” by The Wall Street Journal. “Big Red” is currently available for sale at Whole Foods, Bed Bath and Beyond, and in a few select local stores. 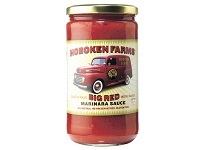 Due to increasing demand nationally, Hoboken Farms is now making their Big Red Marinara sauce available in their new online store recently developed by ABI Hosting. The product is available in both 6 and 12 jar packages with a new launch price discount and bonus jar promotion for the 12 jar package. The web store is HobokenFarms.net and features responsive technology for optimize viewing on any sized screen or device. It also allows customers a streamline ordering experience with UPS rate lookup, UPS tracking, and account creation for order lookup and re-ordering. Additional features also include integration with PayPal Advanced so customers stay on-site during the credit card processing stage, and order shipping integration with ReadyShipper. The entire development process from concept to completion was done within two weeks – just in time for the Winter Holiday rush. 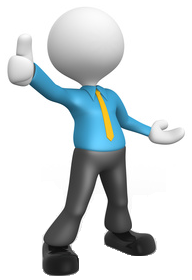 If you’re a retailer considering an e-commerce extension to your business give us a call and we’ll get you live and growing your business quickly too!